One of our very successful product HDPE Vest Type T-Shirt Bag, made from virgin HM-HDPE material, thickness ranging from 10 microns to 40 microns and in various sizes from 8 inch x 10 inch to 30 inch x 36 inch. We are looking for export queries from UK, USA and Canada. 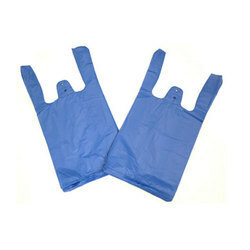 We are the leading manufacturer and supplier of an optimum range of T Shirt Carry Bag. 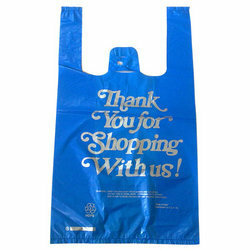 - Commonly used for carrying items at various shops.